Serbia striker Luka Jovic has caught the eye with his excellent form at Eintracht Frankfurt this season, and he could be a solution for Liverpool in the summer. The 21-year-old has scored 22 goals and picked up seven assists in all competitions so far this campaign, and is currently joint-second in the Bundesliga scoring charts (15) with Marco Reus, behind only Robert Lewandowski (18). His goals-per-game ratio of 107 minutes per goal, however, is better than both players and his conversion rate of 25.4 percent is the second-best of any player to take 50+ shots in Europe’s top five leagues, behind Kylian Mbappe. Born in Bosnia-Herzegovina but representing Serbia at international level, Jovic progressed through the youth system at Red Star Belgrade where he became the club’s youngest-ever goalscorer aged 16 in May 2014. After winning two league titles with his boyhood club and scoring 12 goals in 42 games, Jovic secured a move to Benfica in a deal worth €7 million in February 2016, paid in instalments (although Football Leaks later revealed his player rights had been sold to Cypriot side Apollon Limassol before his transfer to Portugal). However, still only 18 years of age, Jovic struggled to settle, making just four first-team appearances for Benfica before joining Frankfurt on a two-year loan in June 2017. The move saw Jovic rejuvenated after a frustrating spell in Portugal, scoring nine goals as Frankfurt finished seventh and won the DFB Pokal, in which Jovic scored the only goal in the semi-final victory against Schalke. This season he has continued on a steep upward trajectory and taken his game up to a whole new level, averaging a goal or assist every 76 minutes in the Bundesliga and Europa League. A sensational five-goal haul in Frankfurt’s 7-1 win against Fortuna Dusseldorf in October catapulted Jovic into the spotlight, with his stunning volleyed finish in the first half immediately earmarked as a Goal of the Season contender. Serbia manager Mladen Krstajic recently described him as “a classic goal-getter with great control of the ball and a good understanding of the game,” and likened him in terms of playing style to Luis Suarez. Frankfurt manager Adi Hutter, meanwhile, said: “He’s 21 and very, very open to criticism. He’s remarkably responsive to it and what the lad’s already achieving at such an age is outstanding. Of Jovic’s 22 goals this season, 10 have come from his right foot, nine on his left, and three with his head. None have been penalties, and all have come from inside the penalty area. Jovic is therefore a remarkably two-footed finisher, capable of scoring a wide variety of different goals, as demonstrated by his five against Dusseldorf, which included an acrobatic volley, superb left- and right-footed finishes and a header. Operating alongside 6’3″ Frenchman Sebastian Haller in a 3-4-1-2 formation, supported by Croatian forward Ante Rebic, the trio have formed one of the most potent attacking units in Germany, with 37 goals between them so far this season. Although only 5’11”, Jovic is extremely adept at finding space for himself in the box and exploiting gaps between defenders to position himself in prime goalscoring areas. Given the way Frankfurt channel many of their play through the attack-minded wing-backs, Filip Kostic and Danny da Costa, Jovic has thrived from quality delivery into the box from out wide despite his relative lack of physical stature by virtue of his intelligence of movement. Winning an average of 2.5 aerial duels per 90 minutes, Jovic is significantly more of an aerial threat than Roberto Firmino (0.9), Sadio Mane (one) and Mohamed Salah (0.3) in this department. An exceptionally well-rounded and clinical centre-forward with superb dribbling ability and acceleration, Jovic is also capable of creating opportunities for himself and beating opponents with his skill and technique on the ball. Five of his goals this season have come on the counter-attack, demonstrating that he is also highly effective playing on the break—something which is especially significant given Liverpool’s speed in transition. Although Jovic has a highly impressive and diverse skillset for such a young striker, he is not yet the finished product and still has ample room for development in several aspects of his game. Not renowned for his pressing ability and work rate off the ball, this is something he would need to incorporate into his game were he to make the switch to Liverpool, for instance, where Jurgen Klopp demands so much from Firmino out of possession. More of a pure No. 9 whose best work happens inside the box, Jovic tends not to drop deep and involve himself in the buildup play as much as Liverpool’s current forward options tend to do. He averages 0.8 key passes per game, fewer than Salah (1.8), Mane and Firmino (both 1.1), while his total passes completed are also significantly lower, suggesting his influence is more limited in deeper zones. Jovic’s dribbling numbers are also noticeably lower, averaging one successful dribble per 90, versus Salah (2.2), Mane and Firmino (both 1.7). However, this is likely to be less down to any technical deficiency, and perhaps more to do with tactical instruction and his role in Frankfurt’s system. 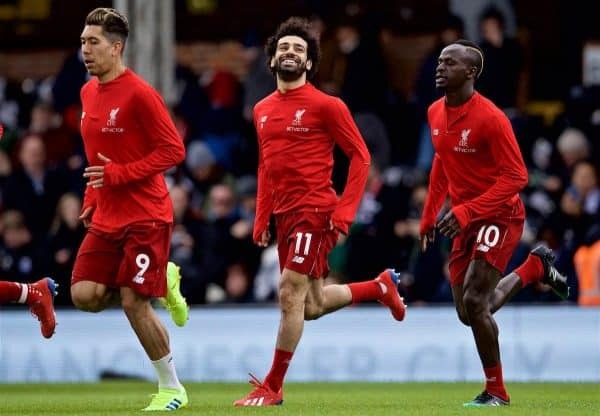 Klopp has been somewhat fortunate with regards to the availability of his main front three this season, as none of Salah, Firmino or Mane have missed any substantial number of games through injury. Earlier in the season, Xherdan Shaqiri was frequently deployed to great effect alongside the main trio in a 4-2-3-1 system, especially in home games against weaker opposition. 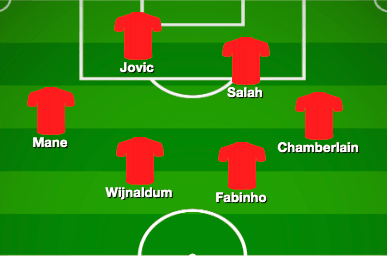 Since the turn of the year, however, Shaqiri has hardly featured as Klopp has reverted to a 4-3-3 system, with Divock Origi emerging as his go-to fourth-choice attacker. 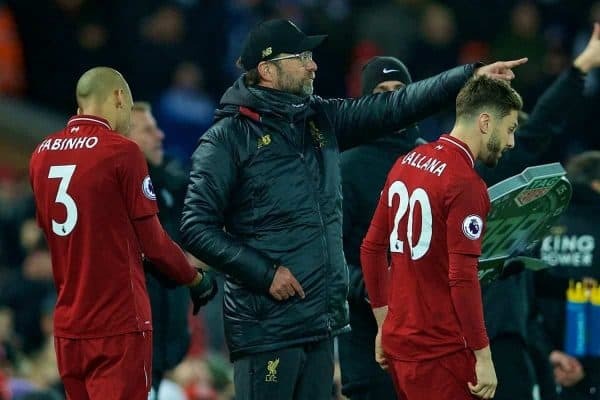 What is abundantly clear is that there is a significantly drop in quality beyond Salah, Mane and Firmino, and therefore no serious competition for places in attack, or scope for Klopp to rotate his forward options—either for fatigue or form-related reasons—without seriously compromising the potency of his front line. 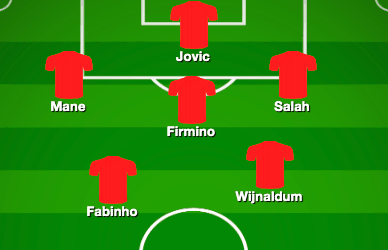 While it is neither feasible nor necessary to look to upgrade on Liverpool’s first-choice attackers, one of the obvious areas for Liverpool to address this summer is to add another elite-level forward option to supplement Salah, Mane and Firmino. Jovic would seem to fit the bill, offering something slightly different to the current options as a more orthodox centre-forward, but with the necessary technical and physical attributes to play for a Klopp team in a number of different formations. Liverpool’s supposed interest in Jovic largely stems back to reports from German publication Bild in November, which suggested Liverpool were interested in making a January move for the striker. 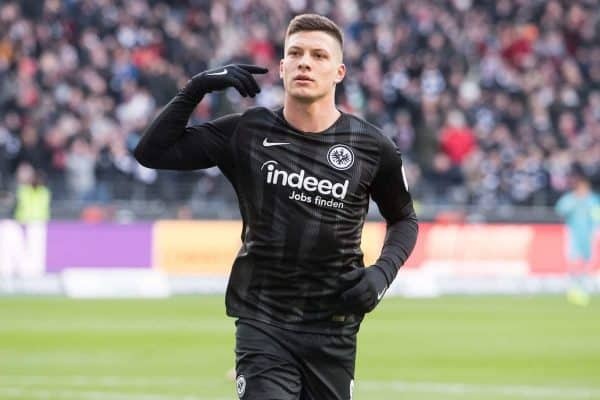 Since then, there have not been any substantive reports confirming Jovic as a target, but were the Reds to be considering a move this summer, they would likely face stiff competition from a number of clubs. Frankfurt will exercise their option to buy Jovic from Benfica for a fee believed to be around €12 million, but his manager, Hutter, has admitted it will be virtually impossible for the German club to keep hold of him, and his market value is considered to be substantially higher. The Guardian claimed that Barcelona are preparing a €50 million bid with plans to begin negotiations imminently, as Jovic represents an ideal long-term replacement for Suarez. Man City and Bayern Munich are also among those to have been linked to his signature. In terms of profile, Jovic has all the hallmarks of an FSG-Klopp signing. Establishing himself as one of the most prolific up-and-coming strikers in Europe, at 21 he still has vast scope for further development, and given Klopp’s proven track record of helping talented youngsters grow and fulfil their potential, it would seem like an ideal match. Whether any concrete interest from Liverpool materialises, Jovic’s skyrocketing reputation means he is almost certain to move to a major Champions League outfit this summer.